This year is going to be a year of the short weekend break in Europe, for you and for me. Long weekend deals have been growing in popularity over the last few years giving couples, friends and family the opportunity to see wonderful places without sacrificing too much time and cash. It’s not just the hen parties and stag dos undertaking these short trips now as flights and accommodation is becoming increasingly more affordable. Although I believe you should spend as much time as possible traveling, I do agree that a short European trip is a splendid vacation to those of us who work many hours and need to split up their working year. There is nothing better in my opinion that jetting off for a long weekend to explore unseen lands and forget about the stresses involved in every day life for a while. There are so many top destinations and magnificent deals to choose from when planning a short break. This article will hopefully help you to get to know a couple of the favourite destinations chosen by backpackers world wide with lifetime backpacker. Like Scandinavian and don’t mind a spot of chilly weather? Denmark is a popular destination for travellers from all over the continent, and the world, there’s a reason for that! From the UK, it’s a flight that’s under 2 hours and usually not too pricey, it truly takes you away from the every day. That could contribute to the fact that Copenhagen has been one of the fastest growing tourism destinations in Europe since 2009, with visitors coming by all means to visit, including cruise ships. The capital of Denmark is a popular place to take in a long weekend of fantastic scenery and architecture. 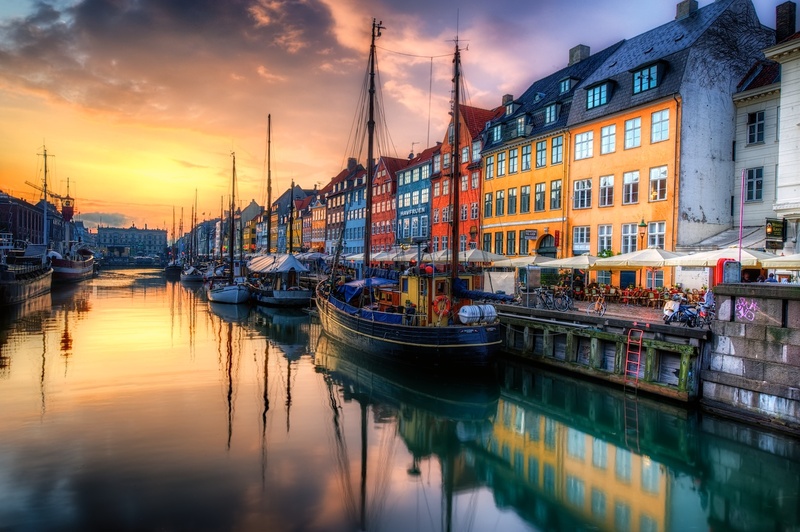 Copenhagen is the beating heart of Denmark’s culture and history with plenty to give you including the Absolut Ice Bar, the Nyhavn Harbour and several art galleries across the area. Some of the best things to do on your short trip can include visiting the Tivoli Gardens theme park. With high adrenaline rollercoasters and more relaxed entertainments, the Gardens are a memorable place to enjoy a day out, no matter what you like to do. One of the oldest running theme parks, some say it was the inspiration Walt Disney needed when creating Disneyland Europe in Paris. For those who enjoy a beer you can take a look inside the very first Calsberg Brewery. Calsberg originated in Denmark and a brewery tour is a good way to learn and absorb the history of the brand. It’s also a great excuse to have a few beers and try some of the lesser known, and exotic tasting ones. These are just some of the best things to do while in Copenhagen, and there’s so much more fun to be had whilst on your city break at this wonderful European Metropolitan destination. Return flights start from as little as £50 for a long weekend break and with accommodation included you can get city break deals from under £200 to Copenhagen. Another European town of great historical culture and architecture, Krakow was originally founded following the defeat of a dragon. The mythological roots of the area are plain to see in it’s great buildings and statues, particularly Wawel Castle. Increasingly growing in popularity due to the beautiful sights, cheap currency and all round amazement of the place, more than 7 million tourists come to visit the area per year with around 30% of those coming from Europe and the rest of the world. Coming to Poland is a really magical experience for many people. There’s so many things to do and see on your visit here other than drinking the local beer, but it is worth being sampled regardless. Across the city you can also find reminders of the dark and tortured past Poland has had, Schindler’s factory provides you with the story of WW2 Nazi Occupation. Just a short (1.5 hour) journey from Krakow the World Heritage Auschwitz museum tells the stories about the past of Europe we should never forget. A visit to this museum is one that can be taken as a journey of respect for the heartbreaking number of lives lost in WW2 both on the battlegrounds in Europe and around the world, and in the concentration camps on European soil. It’s one of those places where you probably won’t be able to do everything in just one visit, and coming back again will be one of the first things on your mind when you leave for home. 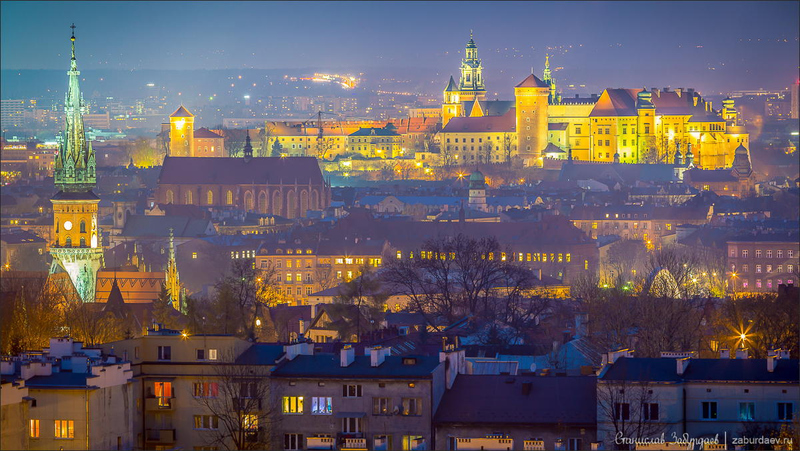 Krakow has many things to do, people to get to know and moments to enjoy! One of the fantastic aspects of this place is cheap food and drink. A pint of lager can be drank for £2 or less, and budget meals can come in at around £5. A good tip for eating and drinking on your break is to immerse yourself in the town and try to avoid the touristy areas, particularly the main square, as you will both save money and experience Krakow in it’s true light. Return flights and accommodation can be arranged for £200-£250, with lots of cheap, and good quality city break accommodation available across the centre. These are just two of the hundreds of cities to visit in Europe, and city breaks in 2016 are certainly on mine, and many other peoples list around Europe and the globe. What places are you planning to visit next? Is there anywhere that you think I should go to and write about? Get in touch with me and let me know where to visit, or where you have visited. I’m always open to recommendations. If you’ve already been to Copenhagen or Krakow I want to know what you thought. It would be marvellous to hear more about your experiences and if you found any hidden gems on your city break. I’m really excited about the idea of finding a really brilliant, off the beaten track bar or restaurant when I visit anywhere, so if you’ve come across some on your travels in Europe or beyond please spill the beans about it! Stay in touch with me on twitter @1backpackerlife.